Slipstreamer Custom Garage are experts at customizing your windscreen to your specifications. They can print any custom graphic element, match a logo and even reproduce a photo onto a motorcycle windscreen. These custom windscreens are perfect for charity rides, a cause you want to promote, or to memorialize a special person, pet, or event. SLipstreamer is one of the largest manufacturers of motorcylce windshields in the world. When they had the idea to create an entire website dedicated to custom windshields, they came to Blindspot Advisors to bring that idea to life. 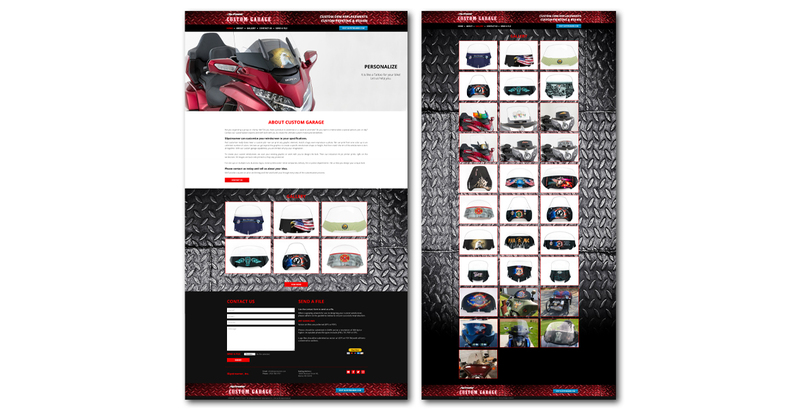 We created a bold site to really showcase the custom windshield graphics. 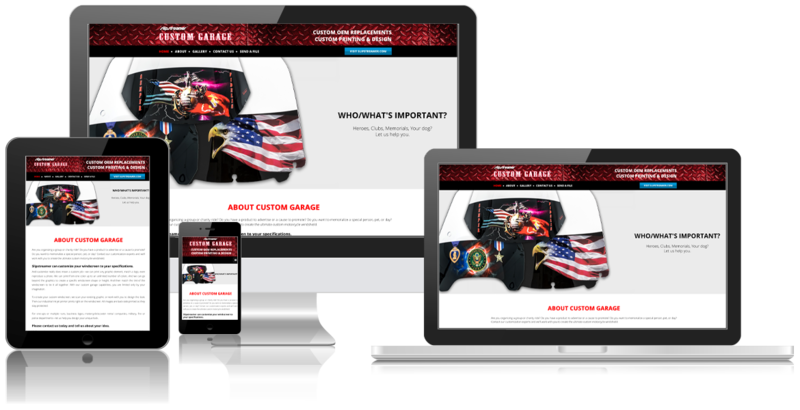 It also complements their existing site, which was also created by Blindspot Advisors. Slipstreamer has been one of the most trusted names in motorcycle windshields for over 45 years. Throughout those years, there have been many changes to technology and computers, the Slipstreamer shop, product lines, etc. But one thing has remained unchanged: To this day, each windshield is still hand molded in the Slipstreamer shop. Quality matters at Slipstreamer, and that is why they chose Blindspot Advisors to help them with their newest adventure into the Slipstreamer Custom Garage. And we are thrilled to be part of the ride!